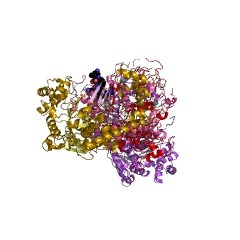 E1 and E2 enzymes play a central role in ubiquitin and ubiquitin-like protein transfer cascades. 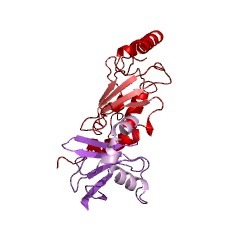 This is an E2 binding domain that is found on NEDD8 activating E1 enzyme. 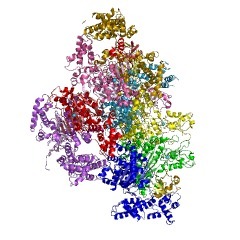 The domain resembles ubiquitin, and recruits the catalytic core of the E2 enzyme Ubc12 in a similar manner to that in which ubiquitin interacts with ubiquitin binding domains (PUBMED:15694336). 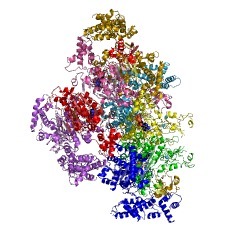 E1 and E2 enzymes play a central role in ubiquitin and ubiquitin-like protein transfer cascades. 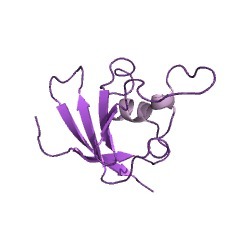 This is an E2 binding domain that is found on NEDD8 activating E1 enzyme. The protein resembles ubiquitin, and recruits the catalytic core of the E2 enzyme Ubc12 in a similar manner to that in which ubiquitin interacts with ubiquitin binding domains [(PUBMED:15694336)]. There are 1533 E2_bind domains in 1532 proteins in SMART's nrdb database. Taxonomic distribution of proteins containing E2_bind domain. This tree includes only several representative species. The complete taxonomic breakdown of all proteins with E2_bind domain is also avaliable. Click on the protein counts, or double click on taxonomic names to display all proteins containing E2_bind domain in the selected taxonomic class. 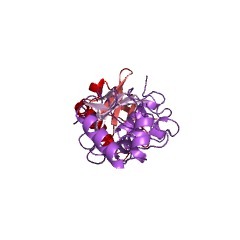 Structural basis for recruitment of Ubc12 by an E2 binding domain in NEDD8's E1. 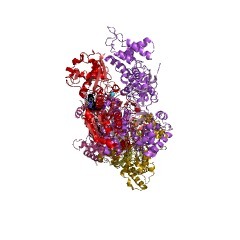 E2 conjugating enzymes play a central role in ubiquitin and ubiquitin-likeprotein (ublp) transfer cascades: the E2 accepts the ublp from the E1 enzyme and then the E2 often interacts with an E3 enzyme to promote ublp transfer to thetarget. 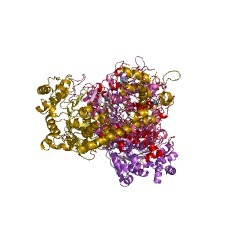 We report here the crystal structure of a complex between the C-terminal domain from NEDD8's heterodimeric E1 (APPBP1-UBA3) and the catalytic core domain of NEDD8's E2 (Ubc12). The structure and associated mutational analyses revealmolecular details of Ubc12 recruitment by NEDD8's E1. 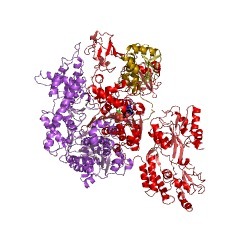 Interestingly, the E1'sUbc12 binding domain resembles ubiquitin and recruits Ubc12 in a manner mimickingubiquitin's interactions with ubiquitin binding domains. Structural comparisonwith E2-E3 complexes indicates that the E1 and E3 binding sites on Ubc12 mayoverlap and raises the possibility that crosstalk between E1 and E3 interactingwith an E2 could influence the specificity and processivity of ublp transfer.